Ada pertanyaan untuk Palm Court Motor Inn? 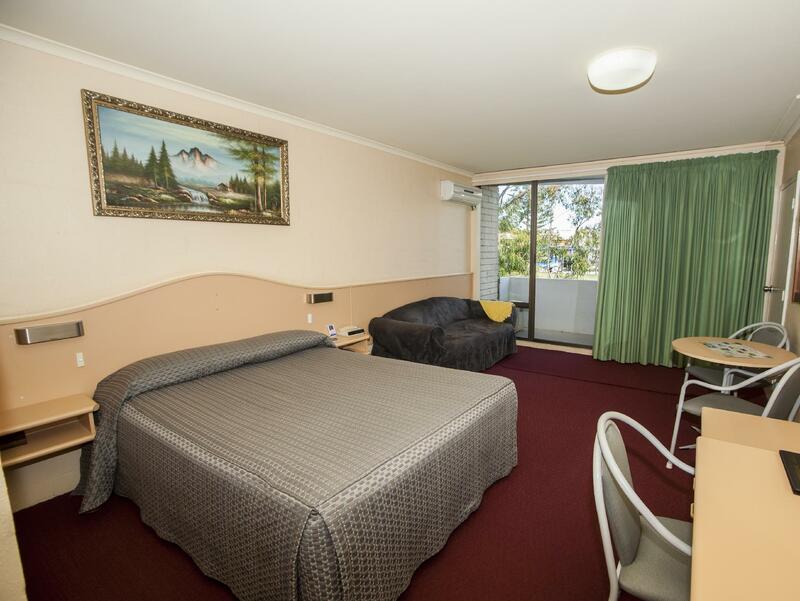 Terletak di pusat Distrik Pusat Bisnis, Palm Court Motor Inn adalah tempat ideal untuk menelusuri Port Macquarie. Dari sini, para tamu dapat menikmati akses mudah ke semua hal yang dapat ditemukan di sebuah kota yang aktif ini. Untuk pilihan lokasi jalan-jalan dan obyek wisata lokal, Anda tidak perlu pergi jauh-jauh karena hotel ini terletak dekat dengan Gourmands Ingredients, Kayak Tours, MV Wentworth. Di Palm Court Motor Inn, pelayanan istimewa dan fasilitas yang unggul akan membuat pengalaman menginap Anda tidak terlupakan. Para tamu hotel ini dapat menikmati fasilitas di tempat seperti WiFi gratis di semua kamar, layanan kebersihan harian, penyimpanan barang, tempat parkir mobil, fasilitas BBQ. Akomodasi hotel telah dipilih secara cermat demi kenyamanan maksimal dengan adanya televisi layar datar, akses internet WiFi (gratis), kamar bebas asap rokok, AC, penghangat ruangan di beberapa kamar. Hotel ini menyediakan sejumlah fasilitas rekreasi seperti kolam renang luar ruangan, lapangan squash, ruang bermain. 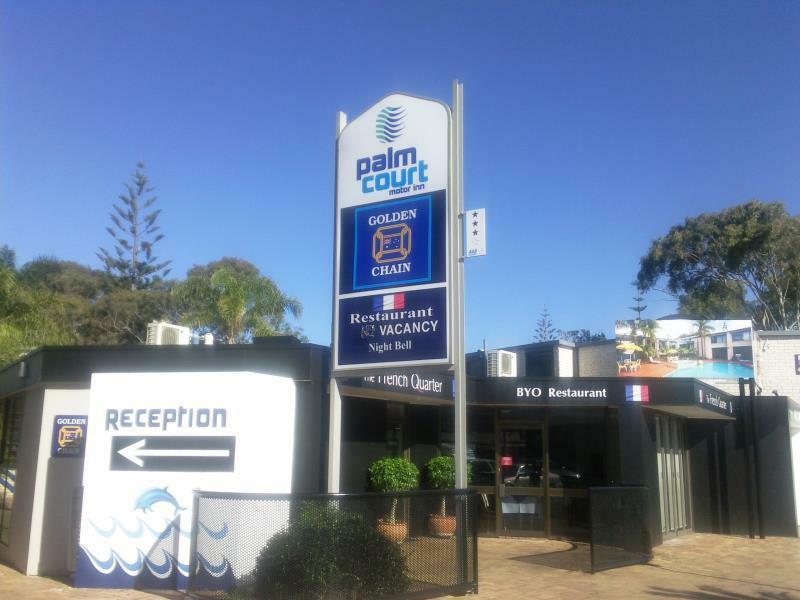 Palm Court Motor Inn adalah tempat menginap ideal bagi para wisatawan yang mencari pesona dan kenyamanan dari Port Macquarie. Properti ini tidak memiliki resepsionis 24 jam. Resepsionis akan tutup pukul 20:00 pada hari Senin hingga Sabtu dan pukul 18:00 pada hari Minggu. Tamu diminta untuk memberitahu properti terlebih dahulu mengenai perkiraan waktu kedatangan. Good location. CBD close to restaurants. Very comfy beds, clean. Right in town, with inlet view, ocean view, balcony, great restaurant - loved it. Con: There are some stairs... but this is par for the course with most motor Inns, so it's not really so bad. Con/Pro: The bed was really very soft and being a bit overweight I 'sank' into the bed uncomfortably, however this may very well be to other people's liking, so it's not necessarily a bad thing for other people. Pros: The staff were very friendly and helped us out when we requested some advice about local places and petrol station. As requested (we have a baby), we were given a room very close to the stairs to the carpark. The rooms were really clean. There was a restaurant right next door (although we didn't go there, it would be very convenient for most travellers). The location is a very short walk to a very nice part of Port Macquarie. Perfect spot for a weekend trip. Close to everything that we needed. It was just my experience perhaps. But the cleaning staff were noisy in the room next door to mine. (adjoined room). It was a shame, they woke me up considering I had already expressed my need for a sleep in and late check out. urg. So, aside from some human error and being woken early, it was a good stay. The room was older in design, but clean and value for money. The parking was easy and felt secure enough. To summarize, with a little staff training (letting them know to be quiet in adjoined rooms) it would have been a great stay and I would certainly stay again. Most satisfactory stop over. A Sunday night so restaurant not open, nor reception all that interested, but not a problem. There was a fantastic Indian restaurant next door for dinner, and we had a few predinner drinks on the river front about 15 minutes walk away. Room clean and comfortable, if somewhat dated. Had undercover parking which was important to us. The Palm Court Motor Inn would have been a satisfactory place to stay - except that every entrance and exit has at least 10 stairs to the "ground floor". I had asked for a ground floor room, as I am disabled and normally use a walker, but could not use this as I struggled up and down steps. This spoilt our stay. Comfortable and convenient. The buildings are dated but not drab- replacing the loose cover lounge would lift the appearance of the room greatly. Close to town and restaurants. Big room. Nice water view. Very good value for money. Friendly staff. Walking distance to everything you could need, restaurants, shops, supermarket, club and break wall. Very good - comfortable and centrally located. Large, clean room with good facilities and very helpful staff. We had a pleasant stay and will definitely stay there again when next in Port Macquarie.